The leading handset brand Symphony introduced a latest addition to its smartphone lineup – i95. 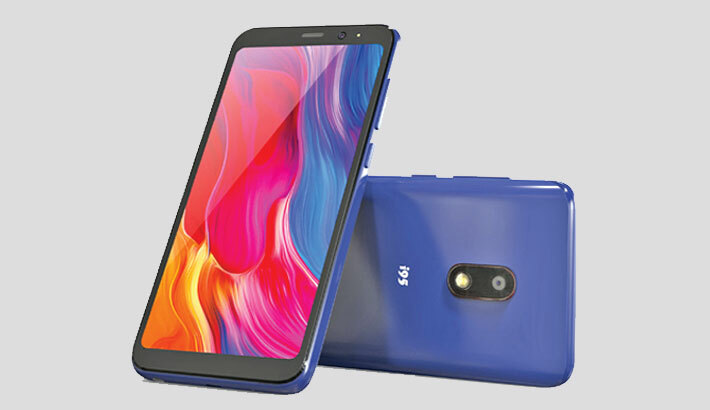 This 4G enabled smartphone is backed by powerful 2GB RAM, android 8.1 oreo and a 5.45” full vision IPS display, said a press release. This feature-loaded smartphone is priced at Tk 7,990 only. Its display supports HD+ resolution making videos look incredibly realistic. It’s 16GB ROM can be expanded to up to 32GB using external memory. Its 8MP front camera has f/2.2 aperture size and supports face unlock feature. A robust 3000mAh li-poly battery will ensure long standby time for uninterrupted usage. Symphony i95 packs g-sensor, proximity sensor and also light sensor.